It is not every day you come across a Northern Irish farmer running a Scottish beef and lamb enterprise, but that is the first surprise at Thankerton Camp Farm, Lanarkshire. The second is how Michael Shannon operates a beef finishing system which is unique in Scotland, and possibly the UK, with precision and care. Having spent 20 years extolling the merits of grass seeds and green vegetable varieties around the world as an agent for British Seed Houses (BSH), the first generation farmer is now practising what he preached with his beef business. While at BSH he was asked to work at the company’s depot just outside Edinburgh as a management trainee and he fully expected to return home after two years. Now, 32 years later, he is still in Scotland, having got married and bought a farm. And with eight children aged between two and 16, he is still focused on expanding the business. Throughout his career, farming was never far from his mind, so when he saw a 71-hectare (175-acre) farm in Lanarkshire advertised in a newspaper in 1996, Michael bought it using the savings he made selling three properties and securing a bank loan. While travelling with BSH he developed a business-saving move which reversed the fortunes of his livestock farm, putting it in a different direction. “I received a real education while I was with the seed company and I travelled around the world looking at lots of systems and ways of operating farm businesses. Returning to Lanarkshire, Michael began making major changes to the business, introducing a new grassland system, rotational paddock grazing and strip grazing kale for fodder. All of it was designed to cut costs and maximise cow efficiency. “It meant we could keep cattle outside all year and this meant huge savings in winter. “After spending a lifetime telling everyone to use young grass and no field should be down for more than 10 years, I began practising what I preached.” In 2007, Michael decided to leave his full time job and concentrate on the farm, entering with the business acumen he learned along the way. Michael operates an intensive grassland management system using diploid seeds which are sown to produce high sugar grasses to create finer, denser swards. 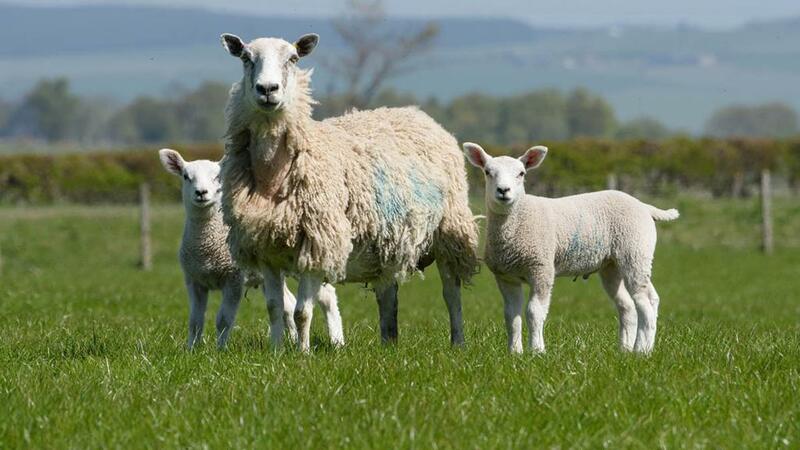 “Diploid grass gives you much better productivity and research has shown a rise of 20 per cent in meat yield and 6 per cent in dairy. 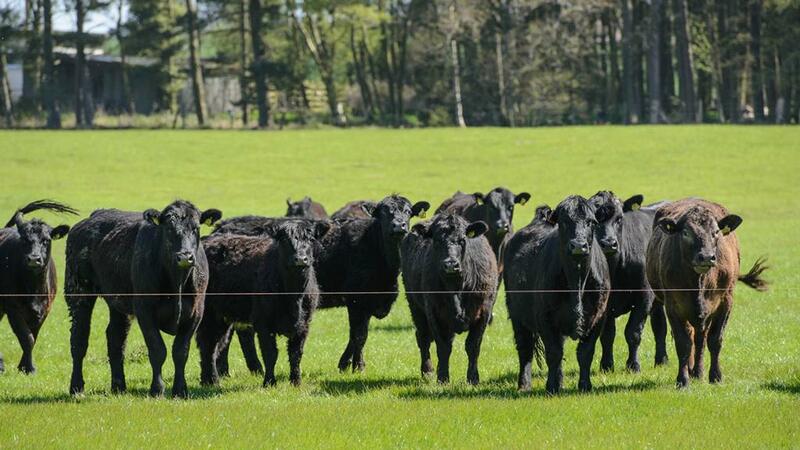 “If you are going into a grazing system you need the right tools to make it work because if you don’t you will be pushing water uphill.” Aberdeen-Angus are bought as one-year-old stores. The animals are moved in groups of about 70 every day to a different paddock, which are colour coded to allow Michael to construct temporary electric fences and facilitate grazing. “The daily shifts help achieve the maximum output from cows and increase stocking rates dramatically. I have increased my liveweight gains by two to three kilos per day feeding nothing but grass.” The other major benefit of a grass-based system is the impact on cow herd health with no respiratory, lameness or parasitic conditions. Such was its success, Michael doubled the acreage grown to 6ha (14 acres) and reduced kale and swift to 6.47ha (16 acres). He is also trialling three different varieties, Robbos, Brick and Tarine, to research their yields and the cows’ preference as cows will be given all three at the same time. Cows spend about 12-18 months on-farm and are taken to about 320kg deadweight before being butchered and hung for 28 days. When Michael decided to go into farming full-time, he realised he needed to add value to the business. “The original plan was to operate Damn Delicious as an internet business and we spent a lot of time, effort and money in doing so. “You can have the best shop in the countryside, but if people can’t see it nobody knows it’s there and the same applies to online. 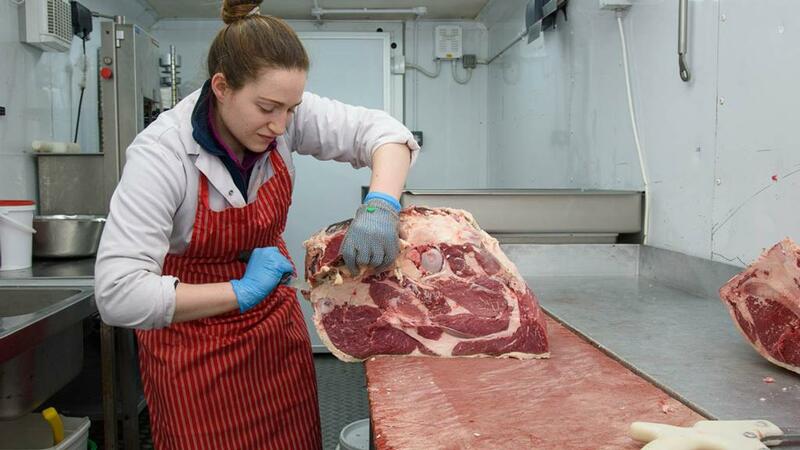 “Unless you are prepared to spend money on advertising you will struggle.” Having realised the desired sales were not happening after six months, Michael was offered the lease on the local village butchery which he took on after its manager wanted to retire. After a refurbishment, he opened the shop where it operated successfully for five years but when the lease came up for review, it was not renewed. “We decided to relocate back to the farm and sell directly and to the wholesale market,” he explains. Ironically, through word of mouth, a little bit of Google advertising and presence on social media, the online business is now doing well and forms 20 per cent of sales. 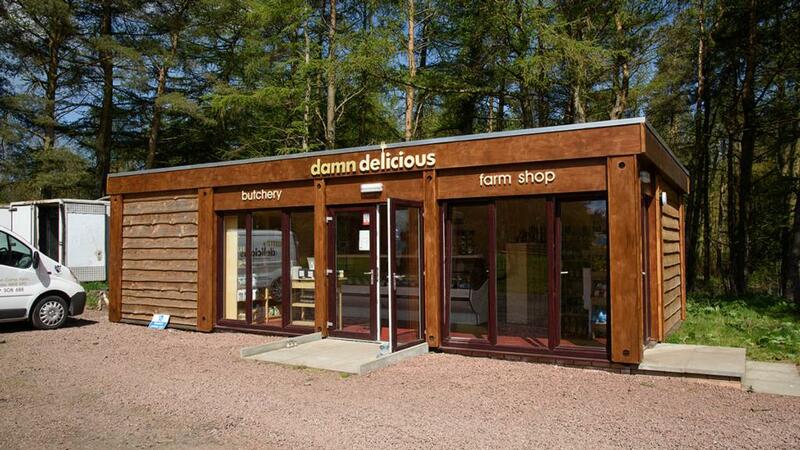 Damn Delicious meat is now supplied across the UK, from the Isle of Arran to Lands End. It still remains a family affair with the addition of two full-time butchers who are helped by Michael’s children. With recent food trends pointing to the benefits of grass-fed beef, does Michael believe it has helped drive his business? 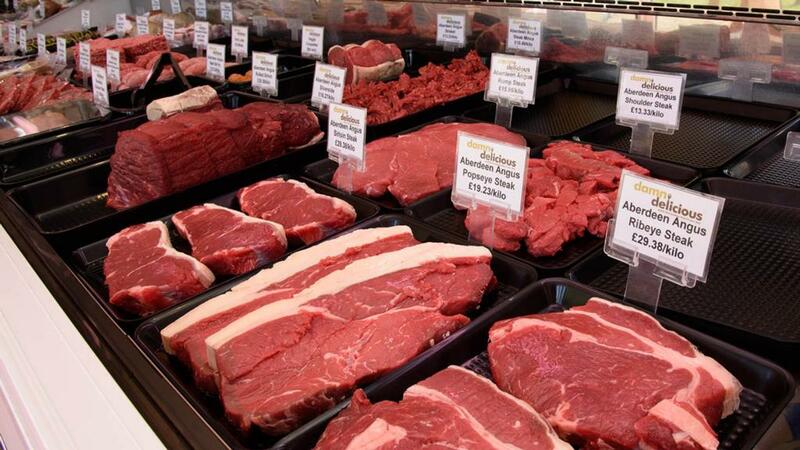 “I’m a big believer there are three factors to producing the best beef. The first is diet, the second is breed and the third is the length of time you hang it. “I believe we are achieving this here. The diet is pure and green 365 days of the year and Aberdeen- Angus is renowned the world over to be a natural finisher on grass. Every area of the business has a spreadsheet to monitor it so Michael knows exactly what is making money and what is not. It’s a nod to his business ethic and the education gained from spending years with BSH. “My boss was always serious about budgets and I remember how frustrated I was at his obsession but it was an education which I eventually bred into my own business.” Looking ahead, Michael will be introducing the sheep into a rotational grazing system and he will continue to supply the farm shop while also selling deadweight through Farmstock for wholesale.